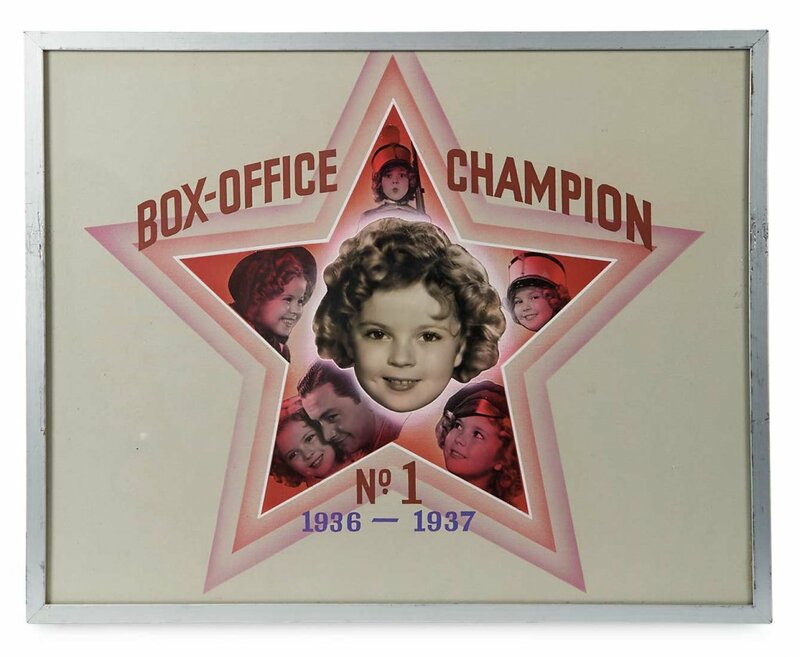 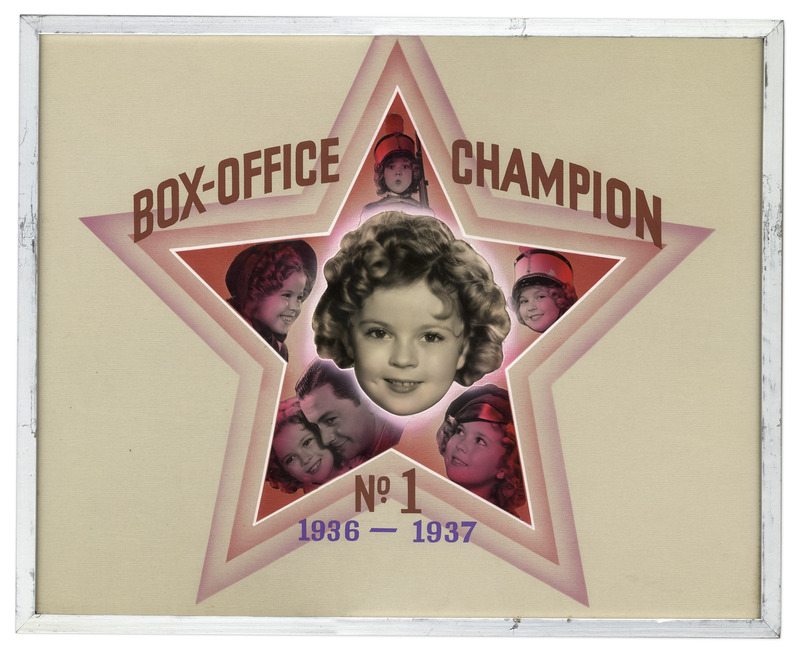 Shirley Temple personally-owned awards, given to her by 20th Century Fox, and based upon the Quigley Publishing Co.'s annual poll of movie theater owners of the most popular movie stars, and also those considered ''box office poison''. 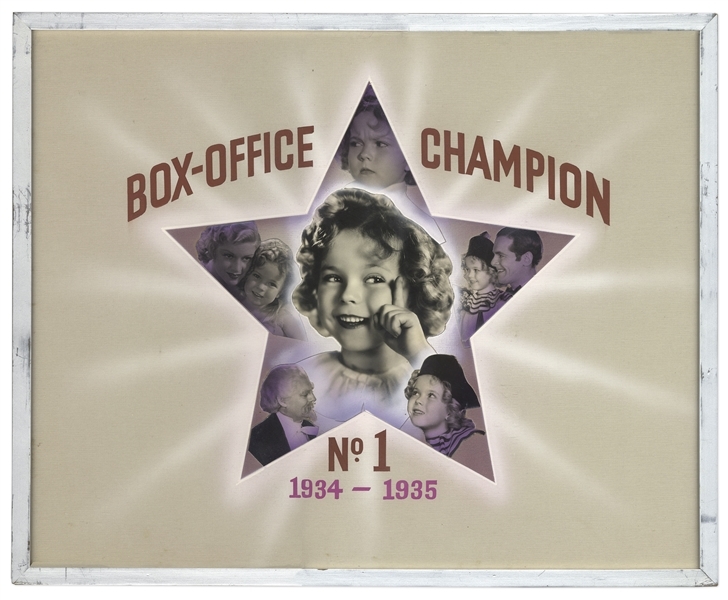 Four consecutive #1 awards span from 1934-1938, a feat that has only been equaled by two other stars, Bing Crosby and Burt Reynolds. The poll began in 1932 and continues to this day as one of the most important indicators of a star's box office draw. 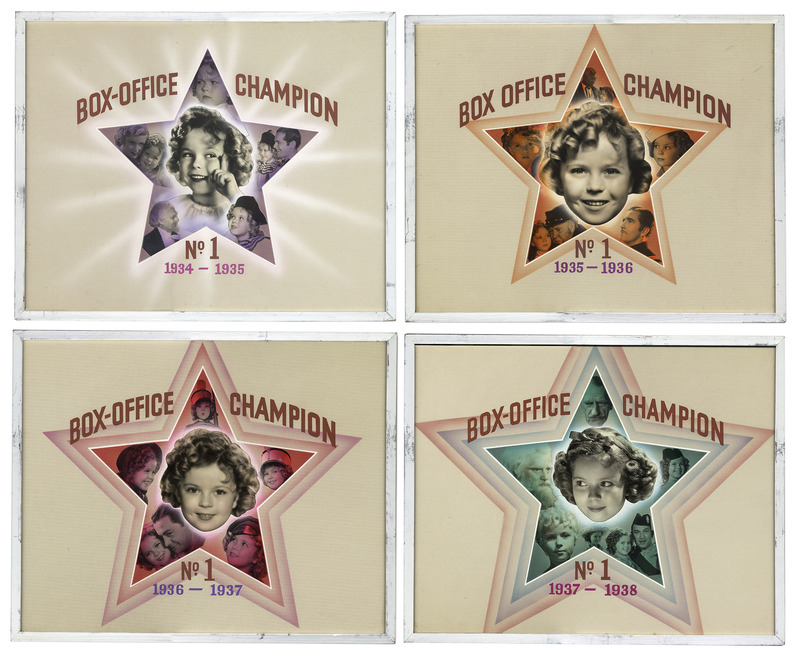 Awards are centered with a colored star and a montage of photographs symbolizing Shirley's films from the year. 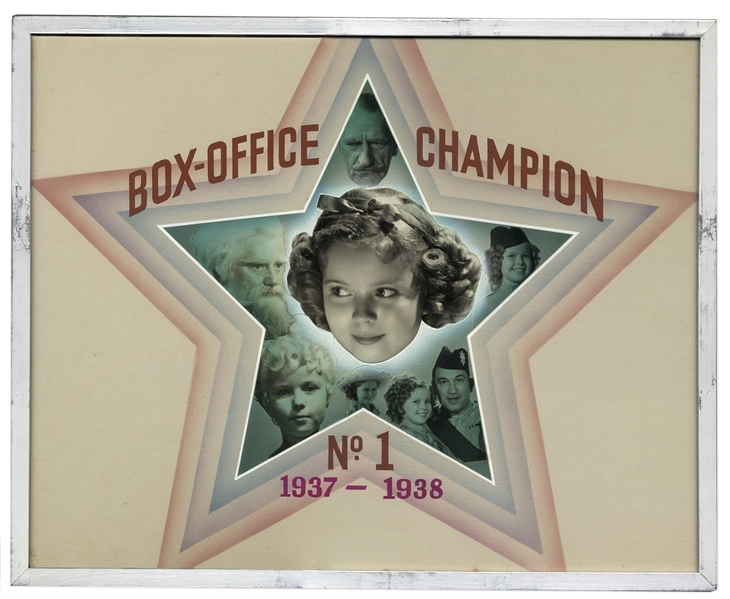 An additional star is added each year to indicate her winning-streak, giving her an impressive display for her 1937-1938 award. Award plaques measure 16'' x 19''. 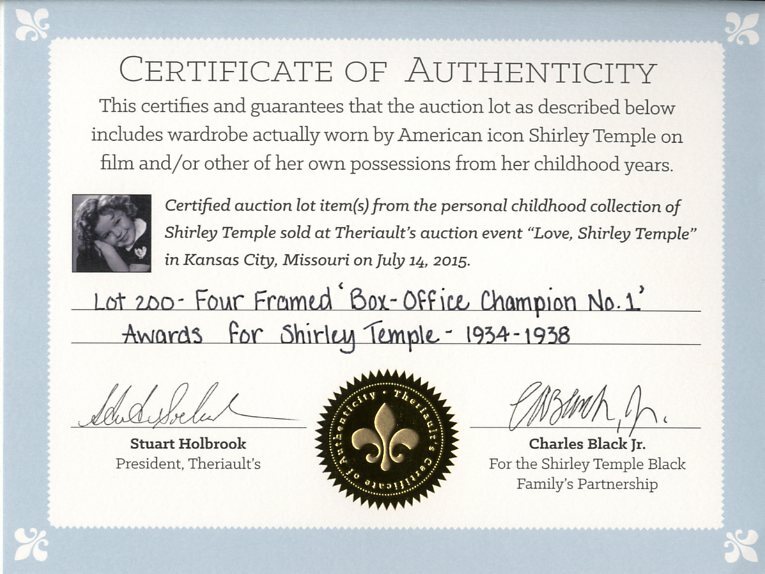 Some scratching to frames, otherwise near fine condition. With a COA signed by the Shirley Temple estate.